iRF has developed a series of the Banded Low Noise Block Down Converters. 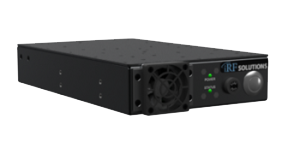 (“BLND”) as well as an associated rack mount assembly, which offers compact, modular, cost effective approach for a highly dense design of fixed dual channel coherent down converters. 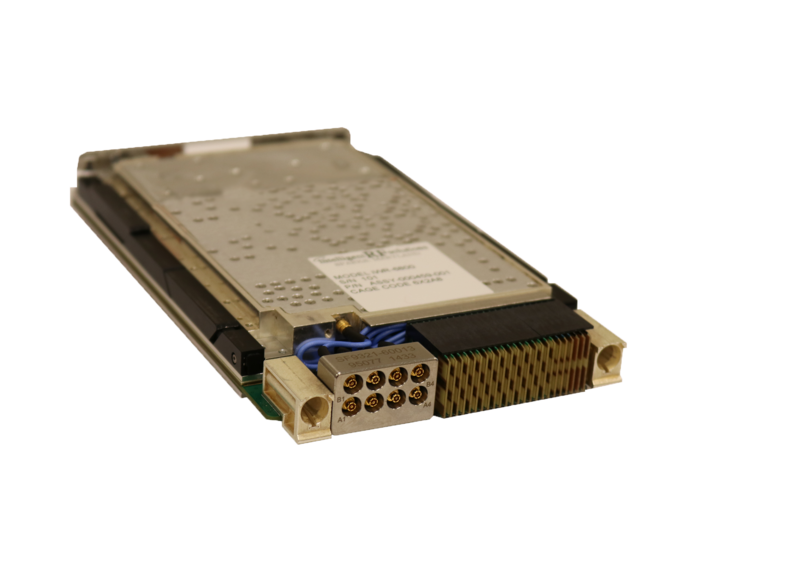 The BLND product provides multiple fixed 1 GHz Ka/Ku-band block down converters, each with a 950 – 1950 MHz output. The plug-in channel card supports two channels on a single input frequency and is phase coherent. 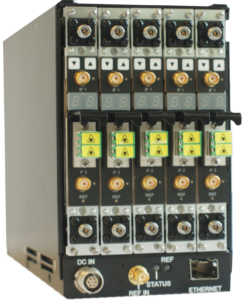 This RF Front End design provides a dual channel fixed L – Band IF to interface for compatibility with existing processing systems. The converters will be housed in a rugged 5-slot Network Capable Card Cage (CD-ROM style chassis). Power requirement is 9 – 16V DC input via a LEMO connector. The chassis also provides a removable iCC-1000 APPLICATIONS rear panel through which optional IF interface modules can be inserted. This module is installed via a blindmate DC connector with front panel thumbscrews. A separate terminated IF connector (with a factory provided IF cable) is available if the Fiber mod- ule or iDSP is required. Dual Copper outputs to support field alignment and IF to an optional factory or field installed RF to Fiber module or a 12 Bit digitized Dual 10 GigE Vita 49 module (future option). The RF to Fiber L Band transmitter module which is guaranteed to interface with the existing RF over Fiber receiver module.